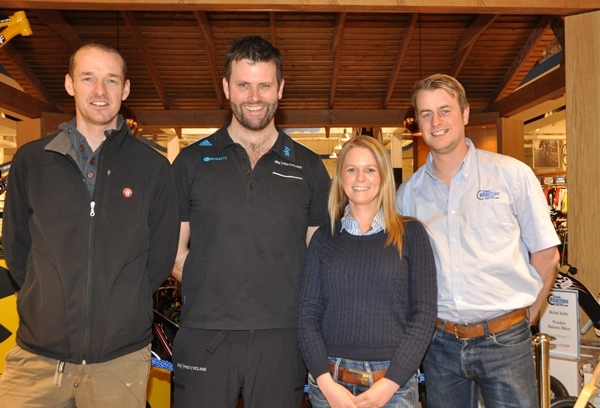 British Cycling’s lead physiotherapist, Phil Burt, recently met up former Irish pro cyclist David McCann and sportive organiser Beverley Pierson at Chain Reaction Cycles Flagship Store in Belfast to show his support for the 2013 Giant’s Causeway Coast Sportive which will take place on Saturday 7th September. Photo courtesy of Marian Lamb from Cycling Ulster. Phil, who is also the Consultant Physiotherapist for the Tour de France winning Sky Pro Cycling Team, was over visiting Chain Reaction’s Flagship Store in Belfast to give a talk on the philosophies behind British Cycling’s sustained success in 2012. Phil’s talk coincided with the much anticipated launch of the 2013 date and opening of online entries for the Giant’s Causeway Coast Sportive in association with Chain Reaction Cycles Flagship Store Belfast which takes place on Saturday 7th September 2013. There are again 3 fantastic routes on offer along the iconic Giant’s Causeway Coast and Glens of Antrim in Northern Ireland (35miles / 80miles / 115 miles) with this much loved event expected to attract approximately 1400 cyclists from all across the UK and Ireland. The first 250 people to enter the event before 28th April 2013 will be able to avail of the early bird package from the events main sponsor, Chain Reaction Cycles Flagship Store in Belfast, entitling you to a FREE High5 Race Faster Nutrition Pack worth £12.99 and 10% OFF in store. The shortest route on offer is a 35 mile ‘Causeway Coaster’ and takes in Bushmills Distillery (Ireland’s oldest whiskey distillery), Carrick-a-rede Rope Bridge and the Giant’s Causeway UNESCO World Heritage Site. The most popular 80 mile route traverses the magical Glens of Antrim before following the Antrim Coast Road with the option of taking on or bypassing the gruelling Torr Head Road. The longest route (115 miles) incorporates both of these shorter distances and provides the ultimate cycling challenge which is widely regarded as one of the toughest sportive routes in Ireland. 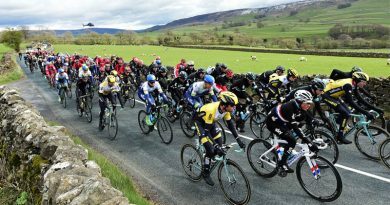 This year’s Giant’s Causeway Coast Sportive is being supported by 2 of UK’s best selling cycling magazines, Cycling Weekly and Cycling Active and has teamed up with Marie Curie Cancer Care and Action Medical Research to encourage participants to fundraise as an extra motivator for those tough hill climbs.